MARS is designed to assist pharmaceutical companies from bluechip to biotech in managing, analysing and reporting essential microbiological and clinical data. 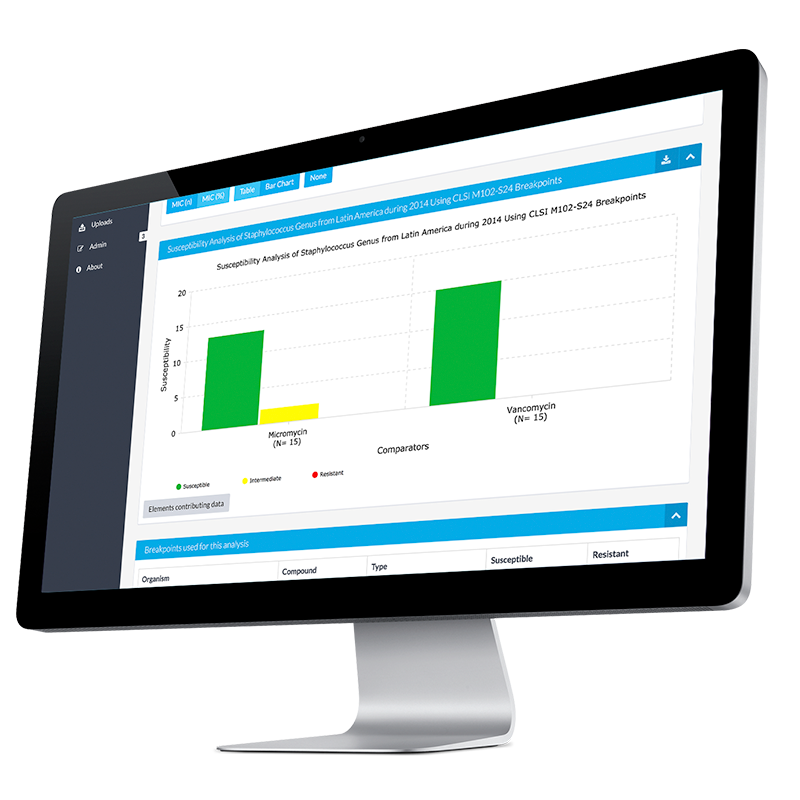 Powerful, intuitive analysis and reporting tools allow output for reports, presentations, publications and regulatory submissions. MARS treats your microbiological data with the same rigour you apply to clinical trial data. MARS continues our 20-year history of building innovative databases for handling anti-infective drug development data to provide the ultimate product for analysing susceptibility testing data from a variety of sources, be it discovery, external studies, surveillance or clinical trials. Micron was the first company to develop a web-based analysis tool for surveillance (The Alexander Project) and we have continued this evolution with AEGIS, PROTEKT, PROTEKT US, MYSTIC, TEST and IRIS, to name but a few.